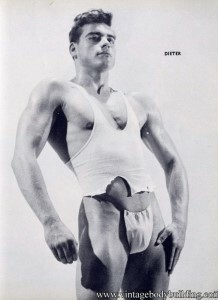 Vintage bodybuilding magazines: articles and muscle men galleries. 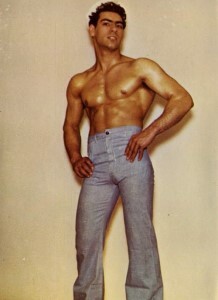 Welcome to the site dedicated to physical culture magazines of vintage era. 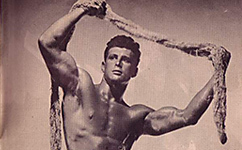 You will find here many articles on bodybuilding, health and fitness from different vintage magazines with very actual and interesting information. 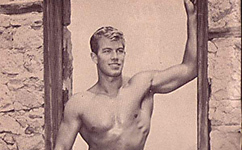 You can be also interested in the male vintage photography magazines with lots of muscle men vintage physique photos that are presented on this site as well. 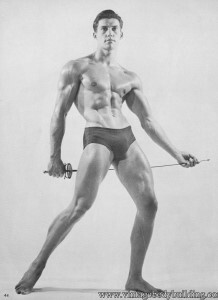 Were did vintage physique magazine come from? Bodybuilding magazines began to be widespread with the activity of the world famous athlete Eugene Sandow who starting from 1980s began popularization of body training culture thought various publications. 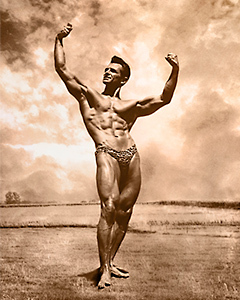 His first books and magazines were: “Physical Culture” (1898),”Bodybuilding” (1904), “Sandow’s Magazine” (1905), “Special Prescription Of Home Exercise” (1924) and others. 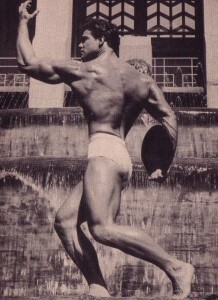 Sandow’s instructions for bodybuilding were widely used and became a base for developing a physical culture in literature. There emerged different physique magazines and some of them became very popular like “Health and Strength”, “Iron Man”, “Mr. America”, “Muscle Builder”. “Muscle Power”, “Muscular Development”, “Strength And Health” and “Your Physique”. On the pages of this site you will find various publications from vintage physique magazines with instructions on bodybuilding still actual in our days.